KKR’s strange saga of captaincy returns: Can Dinesh Karthik fill Gambhir’s shoes? The 33-year old was a surprise pick for the KKR captaincy, especially given the fact that the likes of Robin Uthappa and Mitchell Starc are indeed part of their ranks. Two-time Indian Premier League (IPL) champions Kolkata Knight Riders (KKR) have a knack of pulling surprises with their captaincy bit. The franchise, co-owned by Bollywood superstar Shah Rukh Khan, had an uneasy experience with the captaincy in the first three editions of the tournament which started in 2008. While Kolkata’s local hero Sourav Ganguly led the side in the inaugural tournament, the baton was passed to New Zealander Brendon McCullum in the second year when the tournament was played in South Africa. As Ganguly revealed in his recently published autobiography A Century Is Not Enough, the then coach of the KKR John Buchanan had come up with a strange idea of having four captains in the squad and not just one, trying to import elements of football in the game. Players like Ganguly and Chris Gayle, who was a part of the KKR squad then, found it bizarre as the actual captain McCullum had little clue about things. The end result: KKR finished at the bottom of the table, managing just seven points in as many as 14 games. Buchanan was soon asked to go and in the third year, Ganguly was brought back at the helm under a new coach in Dav Whatmore. KKR’s fortunes, however, didn’t change as they failed to qualify for the knock-outs for the third consecutive year and it was certain that heads were going to roll. Ganguly remained one of the casualties. From 2011 onwards, it was the era of Gautam Gambhir which had set in for the KKR. For the next seven seasons, Gambhir did a decent job as the KKR skipper, winning the two titles in 2012 and 2014. Gambhir, who was released this year, is the second most successful captain in IPL after the evergreen Mahendra Singh Dhoni, leading his team in 123 games and winning 70 of them and losing 52 (success percentage of 57.31). However, in the context of IPL 11, it seems KKR is back into the past, having a very little resource in their squad to be pooled as a long-term captain. The franchise’s decision to announce Dinesh Karthik as their captain for this year’s IPL is surprising for many but more than the surprise element, one believes the KKR squad this year lacks a captaincy material and the 32-year-old wicket-keeper-batsman was more of a forced choice to make up for the scarcity. 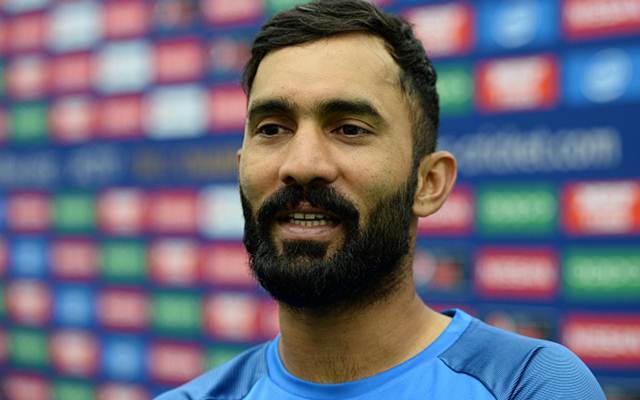 Dinesh Karthik has been a player to pick whenever India face a crisis – even if it is in the international games – and it has been no different in IPL this time either. Karthik, who has played for as many as five teams in the IPL, is a sort of ‘Jack of all trades’ player. He was the third most expensive player for the KKR this year, bought at a price of Rs 7.4 crore but if one sees his IPL career graph over the last few years, it is far from stable. Karthik has seen his side changing five times in six years. For a player picked as the captain of a team, do such frequent changes make a good reflection? Why not Robin Uthappa, the man who has been giving KKR a steady service? Karthik’s batting record in IPL is not extraordinary. Barring the 2013 season when he made a good contribution for that year’s champions Mumbai Indians by scoring 510 runs in 19 matches and 2017 when he scored at a decent average of 36 plus, the diminutive batsman never had an outstanding season. Overall, Dinesh Karthik has scored 2,903 runs in 152 IPL games at an average of 24.81 and strike rate of 125.94. He has scored 14 fifties so far with the highest being 86 versus the Daredevils in 2013. Behind the wickets, however, Karthik has done his job more clinically. With 80 catches and 26 stumpings, Dinesh Karthik has 106 dismissals in his kitty and it is the best by any wicket-keeper in IPL, four better than Dhoni’s 102 effected in 159 games. Karthik could have been allowed to do his job behind the wicket more freely with occasional big hitting had Robin Uthappa – KKR’s all-season man since 2014 – was awarded the captaincy. Uthappa has 3,735 runs in 149 games in the IPL with an average of 29.40 and strike rate of 131.79. Uthappa has slammed 22 fifties so far, 14 of which have come since his arrival in the KKR. Uthappa has been scoring consistently in KKR with his 660 runs in the 2014 season making him the highest run-getter that year. Uthappa’s another big advantage is his keeping and he is ranked third at the moment as IPL’s most successful wicket-keepers with 90 dismissals. It would not have been any unwise act had a more consistent Uthappa was made the captain of KKR and not someone who has just entered the squad. KKR’s nucleus has been disturbed; can a new captain deliver from word go? The KKR side of 2018 hasn’t been a great pick in terms of balance. There are a lot of youngsters in the side while experienced players like Gambhir, Manish Pandey, Yusuf Pathan, Umesh Yadav and Shakib Al Hasan have exited. This has narrowed down the focus on key players by far and only a few have remained as the nucleus of the old team in the form Uthappa, Sunil Narine, Piyush Chawla and Andre Russell. Chris Lynn although has been a part of KKR for some time now but he has not been that regular. Two more Australian players – Mitchell Starc and Mitchell Johnson – have joined the squad this year and will be testing the initial waters for the men in purple. Gambhir’s exit has made the captaincy a challenging aspect for the KKR and the management has played a gamble by picking a player who has not been known to be a captaincy material so far. Karthik’s only stint with captaincy was for the Daredevils between 2010-14 when he led in six games and could win only a couple of them. For him to straightaway fill in the giant shoes of Gambhir will not be easy and the supporters of KKR would not like to see their team wasting an entire season while their new skipper learns the nuances of T20 captaincy.